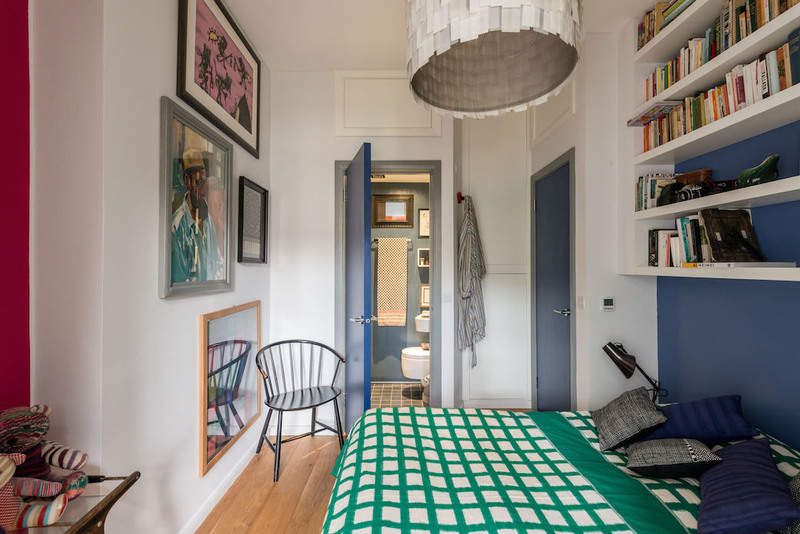 I’ve just been writing about a flat in Edinburgh where the owners have built up a diverse collection of artworks and also have a passion for books – the walls are literally filled with the things they love – and this reminded me that when you’re looking at properties, it’s the homes with personality that always catch your eye. 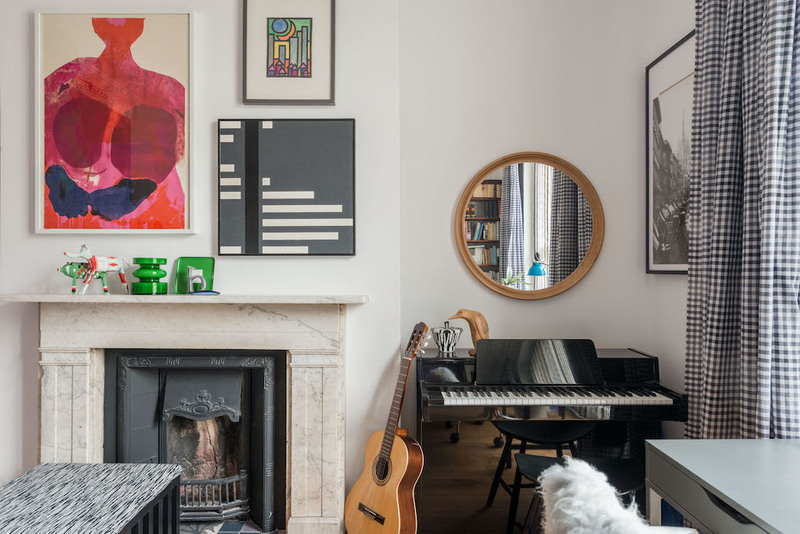 Yes, sometimes it’s about the dramatic volume of a space, or the beauty of the architecture, but sometimes you’re drawn to the pieces; the artworks and collections of objects that make this one interior, this one property, stand out from everything else you’ve seen. 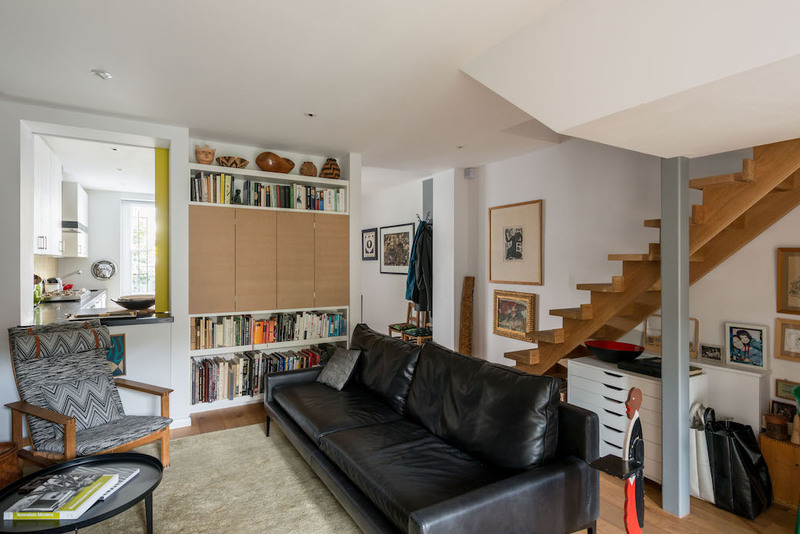 Which brings me to this incredible apartment on Hereford Road in London, which is on the market with The Modern House. 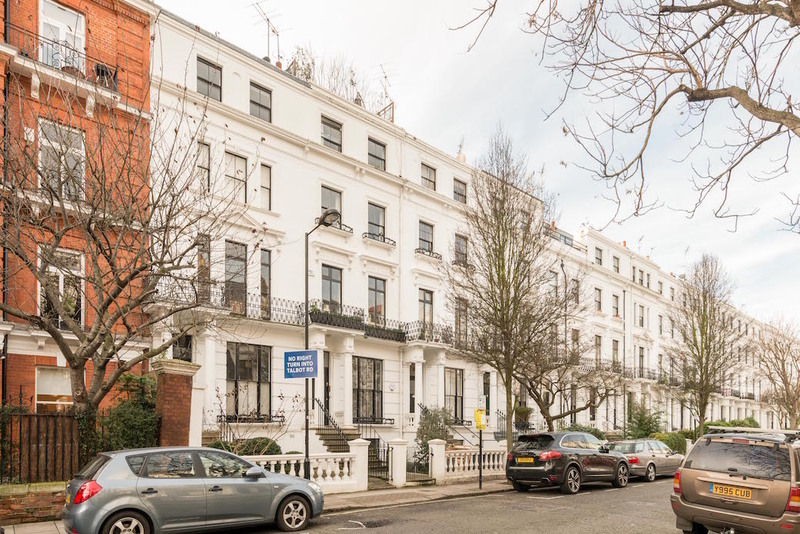 This two bedroom duplex forms part of a very handsome stucco-fronted house located just off Westbourne Grove, on the border of Notting Hill and Bayswater. 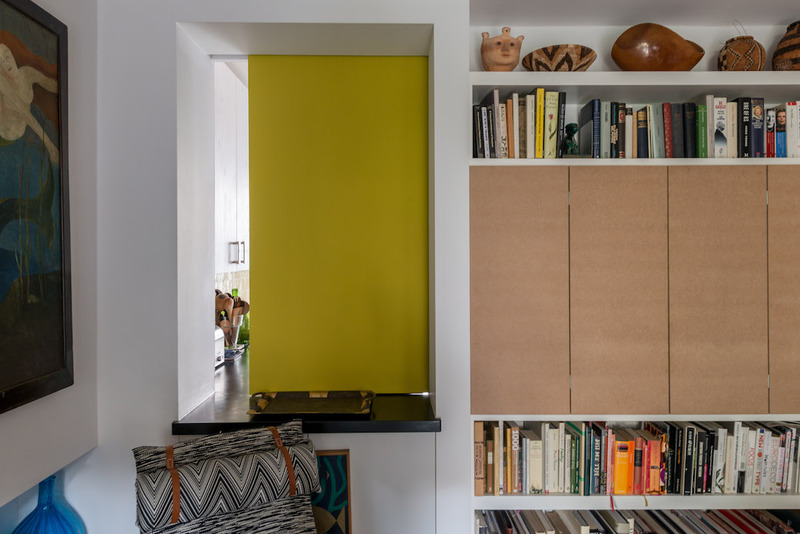 The apartment has been extended and refurbished by designer Eva Gundersen, who has worked extensively for the Italian brand Missoni, and Gundersen’s eye for inspiring juxtapositions is evident throughout. 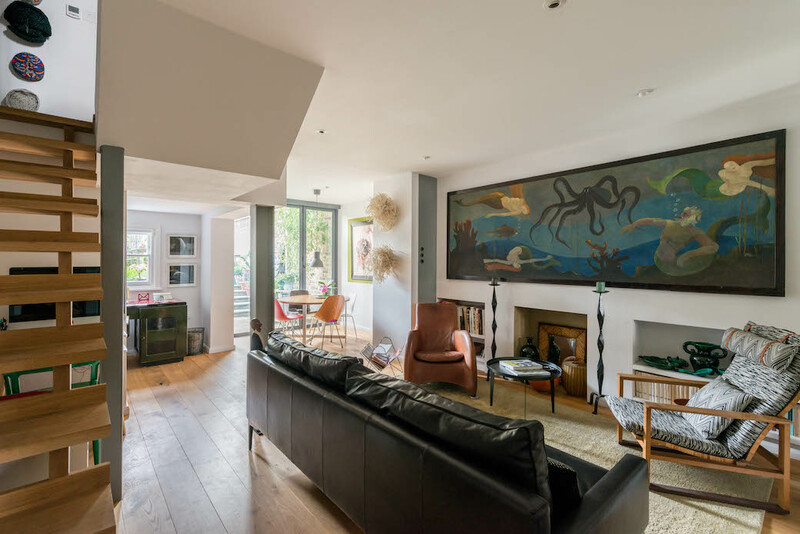 The spaces are beautiful in the way the layout flows, but this is also a stunning interior in the combination of furniture and accessories and artworks. 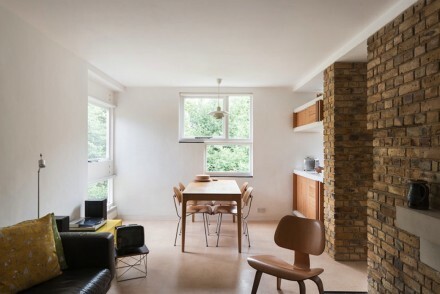 The kitchen sits to the front of the apartment, on the garden level, and leads into the main reception room, which includes a dining area and a study within the aluminium-clad extension. 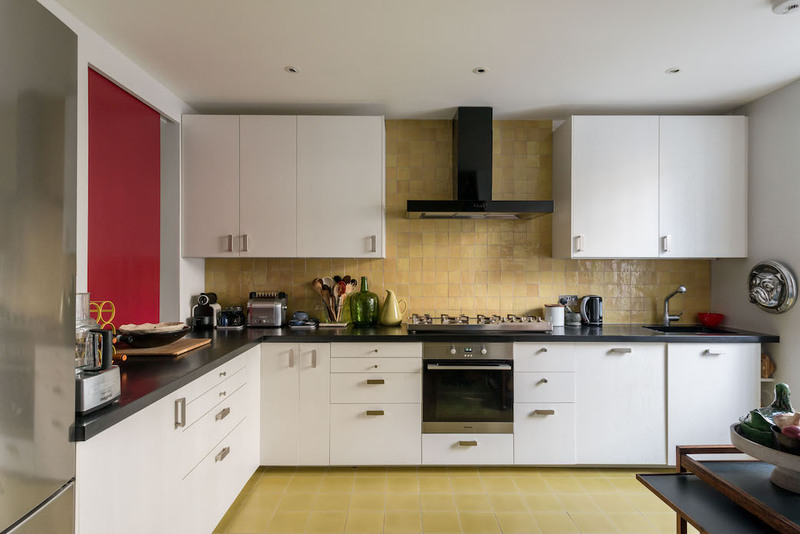 I like the detail of the serving hatch between the kitchen and living area – particularly with the bright colour-pop that’s been added here, with raspberry on one side and a ’60s looking mustardy-yellow on the other. 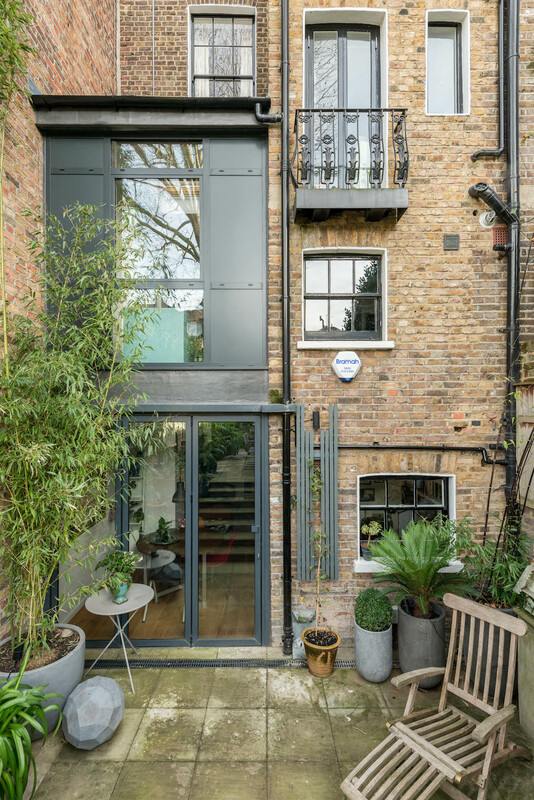 The dining area in the top photo opens into the garden, which is a feature of this property in its own right. 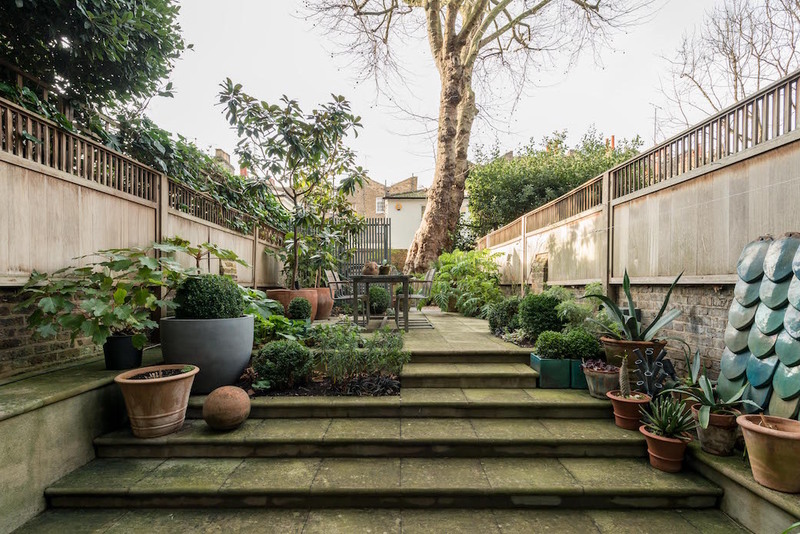 Stretching to 45ft long, this split-level west-facing garden has been designed as a low-maintenance urban sanctuary with extensive paving softened by smaller planted sections and potted plants, and with a second dining area on the upper level. A new timber staircase leads from the reception room to the raised ground floor where you’ll find two bedrooms and the main bathroom. 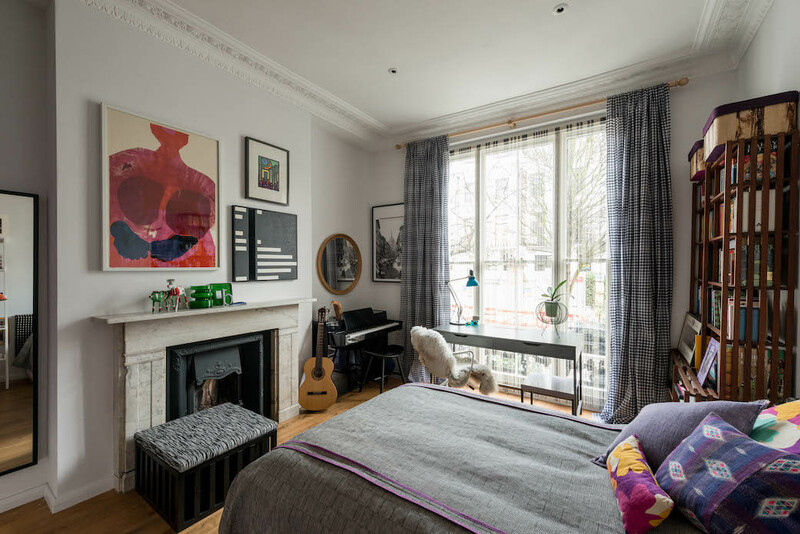 The master bedroom also has an en-suite shower room and a dressing room within the extension, while the second bedroom includes a period fireplace and delicate cornice detailing. Again, in these spaces, the confident styling is striking, and again the artworks make a bold impact. 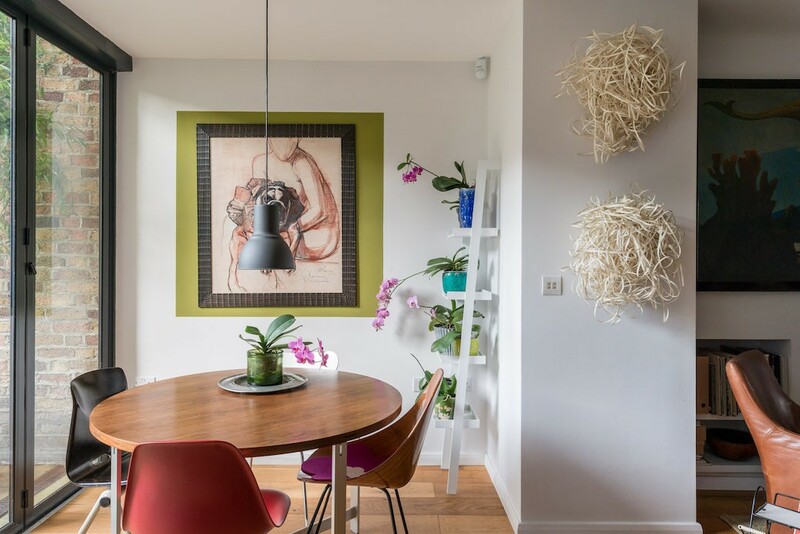 I blogged recently about a Swedish apartment where the vast walls were left more or less bare, and how much I enjoyed just having wall space – crisp and uncluttered wall space. The simplicity of a blank wall. 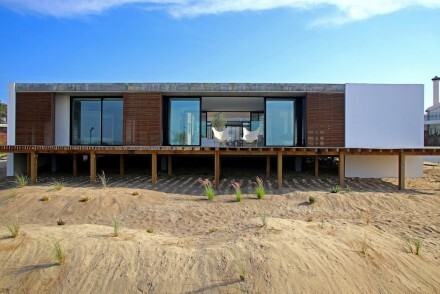 But this apartment challenges that approach. You sense that each of these pieces has a story behind it. 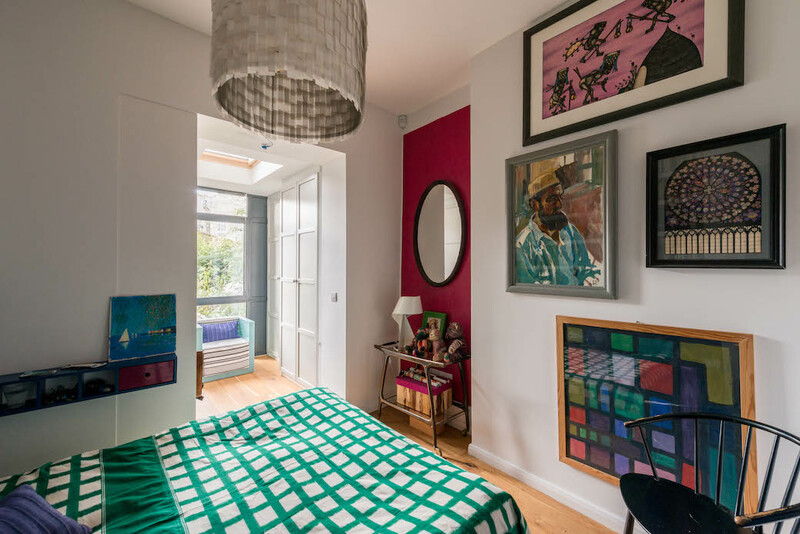 And with underfloor heating throughout, none of the wall space here is wasted on radiators. 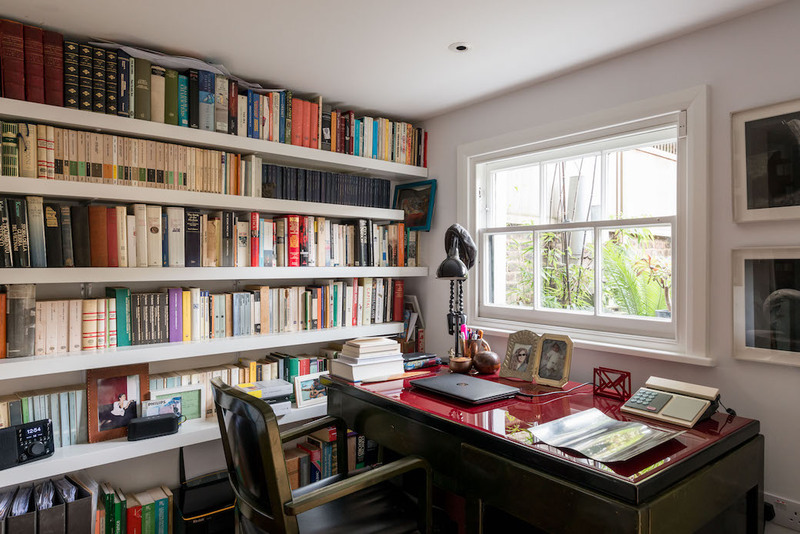 And even when all the furniture and artwork have gone, the next owner will inherit an interior where every detail has been carefully considered. Just look at this bathroom! 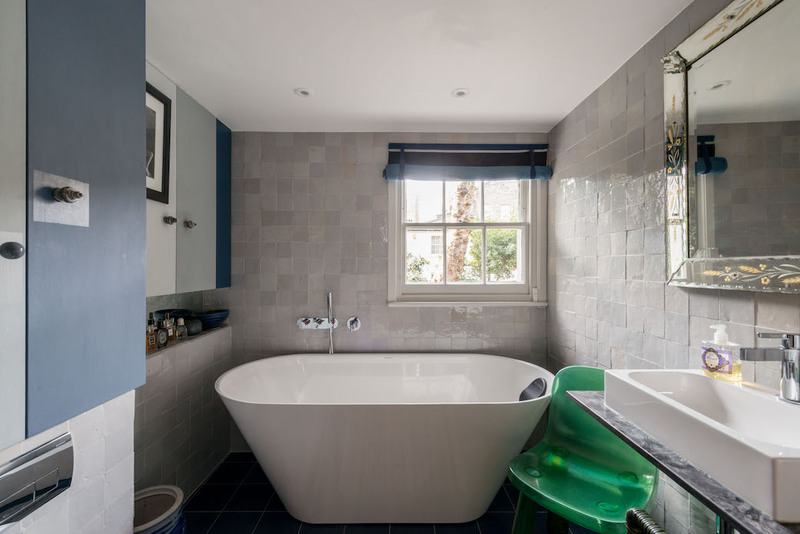 Beautiful pearlescent tiling, a subtle use of colour with the grey and blue accents, and a gorgeous freestanding bath. This all adds up one very desirable home. 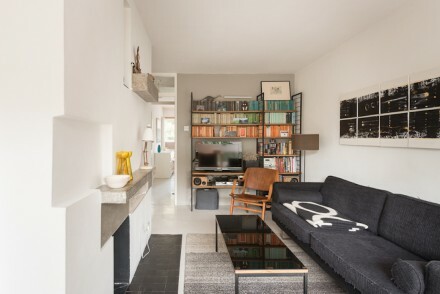 This apartment is being marketed by The Modern House. All photography from The Modern House.